Great vision from every point of view! 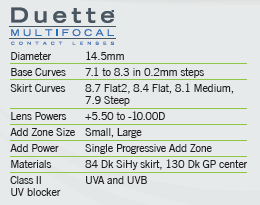 Duette Multifocal provides a premium contact lens option that delivers nearly natural binocular vision at all distances for your moderate to advanced presbyopes while offering exclusive benefits for your practice. 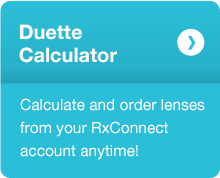 Duette differentiates your practice by giving your patients a premium contact lens option that delivers exceptional vision. 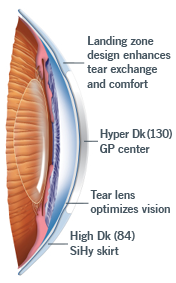 It is exclusively available from independent eye care professionals and is not sold online or through mass merchandisers.